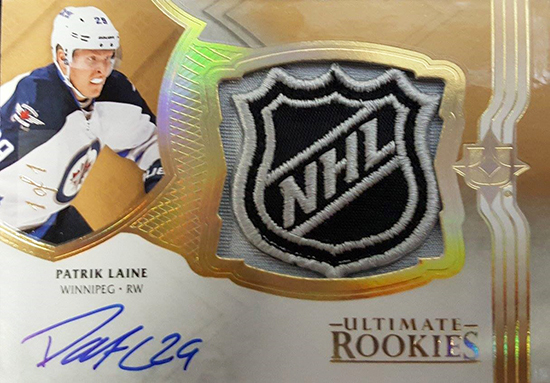 Upper Deck’s Talent Acquisitions team has been busy conducting signing sessions with hockey rookies as we get ready for the release of premium summer products. 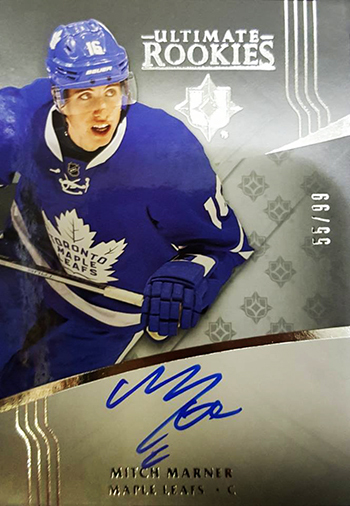 The team has scored and we are happy to announce rookie stars like Patrik Laine, Jimmy Vesey, William Nylander, Jesse Puljujarvi, Dylan Strome, Mitch Marner, Matthew Tkachuk and Auston Matthews will all have live autograph content available in packs for 2016-17 NHL® Ultimate Collection which is due out in stores on June 28, 2017. 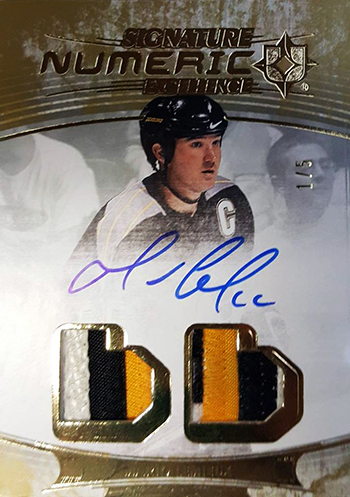 In an effort to get live cards into collector’s possession in a timely fashion, we will begin fulfillment process for these TBD Rookie Autograph redemption cards upon receipt of a reasonable selection of cards from this group of players. We will not wait to fulfill redemption cards until all have been returned. 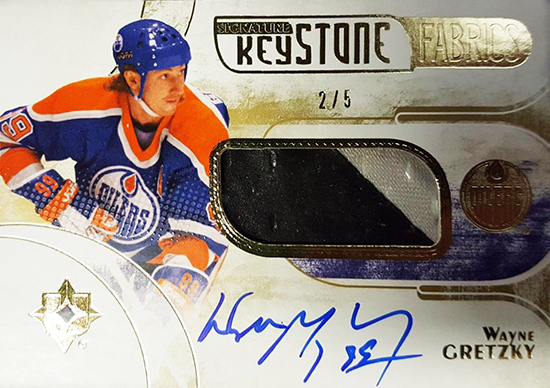 Additionally, the specific card mailed to consumers will be selected at random from the pool of cards noted above. 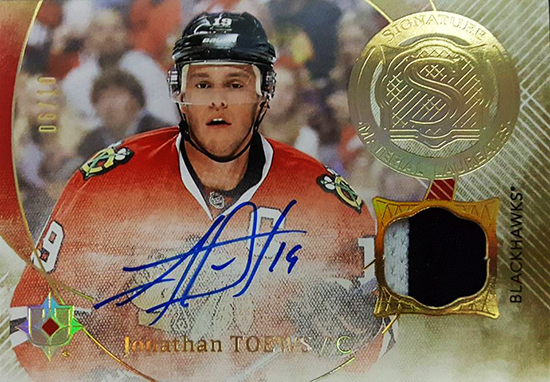 Upper Deck will try to take special care so that customers who redeem more than one of these cards that they receive different cards back from the cards available. 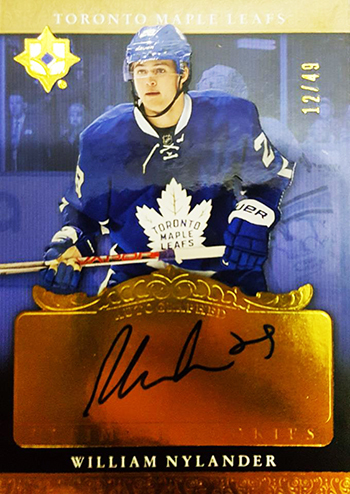 Lastly, should there be excessive delays with obtaining some of these cards, Upper Deck reserves the right to pull these cards from the set or potentially have some inserted in next year’s release. We will update this story once that player pool has been finalized and determinations have been finalized on how to proceed with excessively delinquent cards. 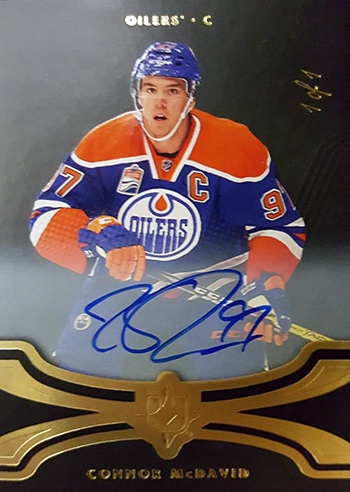 Many other NHL® stars and legends will have live autograph content in this popular product. 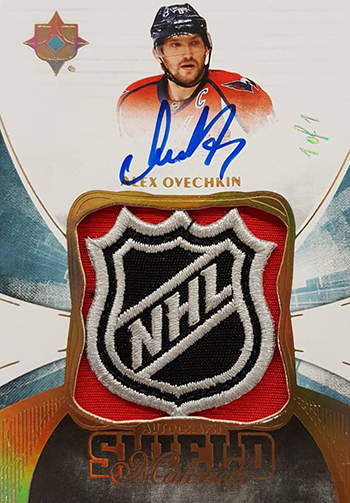 Don’t miss 2016-17 NHL® Ultimate Collection at your local card shop on June 28, 2017!